In order for your smart home to protect your smart home from meteorological events, the accurate recording of weather at your location and weather forecasting is critical. Therefore, the weather station records short-term events such as wind, rain, brightness, and temperature locally in your smart home. The Weather Station is capable of forecasting weather 66 hours out and is the perfect solution for all-around protection. To be able to protect your smart home from the elements, it is crucial that your home has access to information about the weather right outside your own front door. To realize this, the Weather Station records wind, rain, brightness, and temperature at your exact location. 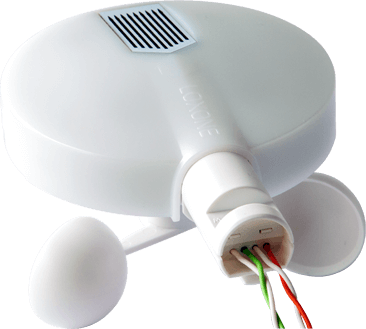 The Weather Station also offers protection by gathering weather forecast information up to 66 hours in advance with the Loxone Weather Service. 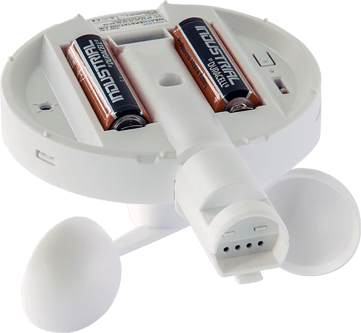 Combining the Weather Station as well as the Weather Service means your home will have access to a detailed forecast as well as real-time localized weather conditions. This wealth of information means your smart home can alert you and make intelligent decisions when it matters most. To use the weather forecast, the Miniserver has to be connected to the Internet since the weather data is requested from an external server. Are we having another heatwave? Your smart home reliably protects you from overheating and automatically lowers your shades, so that your rooms are always at the right temperature. In this case, the Smart Home uses the radiation forecasting of the weather station. A storm is brewing, and you aren’t home to wind your awnings into a safe place? Thanks to the up to date wind measurements taken locally at your smart home, your house knows exactly what to do, and puts your awnings safety position. In a Loxone Smart Home, your garden irrigation is based on the predicted weather forecast as well as the localized weather conditions. This way, your garden won’t resemble an arid desert or muddy marshland from not enough or too much sprinkler action. Let your home take care of your irrigation woes – saving water and freeing up your time. You’re sitting comfortably in your living room and it starts to rain, the skylights that you opened earlier are currently out of sight and out of mind. Normally that would be an issue, but with your Loxone Smart Home, you will be alerted to the open skylights immediately when it starts to drizzle, thanks to the sensor on the Weather Station. If your skylights are motorized then have your home take care of closing them too. Thanks to the exact forecast of the outside temperature, your heating system can precisely determine the flow temperature required for your Loxone Smart Home and transfer it to your heating system. This is a great way of ensuring your ideal temperature is realised in each room as part of your zoned heating. Take it a step further with this powerful weather duo… How about having the color lighting in the hallway turn to blue in the morning if rain is forecast. That way you’ll know to bring in the washing from the line before you head off to work, take your raincoat or close that window. You could also have the lights show orange if it’s going to be a particularly sunny day so you remember to put some drinks in the fridge for a cheeky sundowner on the patio when you get home from work. 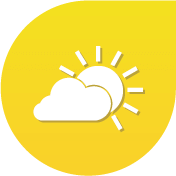 The weather forecast is of course fully integrated into the Loxone Apps. 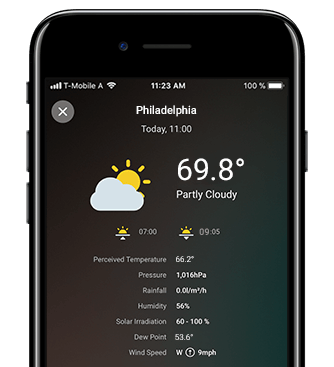 Current weather data and forecasts can be viewed at any time on your smartphone. Designed specifically for those who want to bring more intelligence and incredible living comfort into their existing four walls, we have developed our own wireless technology. Loxone Air, perfect for all retrofitters and renovators. The Tree technology and all Tree products are plug and play and work perfectly with all Loxone components. Thanks to our flexible cabling, installing and integrating is completed in just a few moments. No maintenance required. Clean with a dry cloth.